Moneycation: What do U.K. stamp duty reforms mean for you? 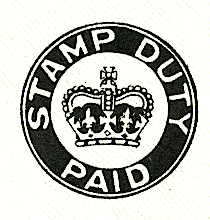 What do U.K. stamp duty reforms mean for you? If you’re a homeowner or a first time buyer looking to purchase a new home, then you should have already heard the news about the reforms that were announced on the 4th of December 2014. Chancellor of the Exchequer George Osborne unveiled the long anticipated reforms of the Stamp Duty in his Autumn Statement, bringing a sigh of relief to the property market as a system that many see as unfair is overhauled. But what are the changes and what do they mean for property buyers? Let’s take a look at the reforms. Like any form of tax, it’s common sense to make Stamp Duties proportional depending on the value of the property that you buy. However the system that has been in place since 1997 has meant huge leaps between brackets with little middle ground. Although various changes have been made across the years, Osborne is the first Chancellor to listen to the demands for a fairer gradient between brackets to implement more workable rules. Whereas in September 2014 you would have paid 1% for a property between £125,000 and £250,000, jumping to 3% if you bought a property worth £250,100, now the Stamp Duty is paid only on the portion of the house value in question. So rather than being taxed on the value of the whole property, the fee applies to a much smaller figure to ease the burden of this duty. Moving house is a life-changing decision, and yet the Stamp Duty made it a more costly process that put many people off moving house, or even buying their first home to get on the property ladder. The new system is much fairer for families and homeowners in the UK; for the average family home valued at £275,000, buyers would now pay a massive £4500 less in Stamp Duty with the new tax rate that has come into effect http://www.bbc.co.uk/news/uk-politics-30291460 . What’s more, the system is likely to have a beneficial impact on properties in the North. As a progressive tax bracket, these changes are designed to help those lower down the housing scale. With London and the South having a much higher proportion of properties above the £925,000 mark, the changes should redistribute wealth in the property market and kickstart the housing market in the North. And for homeowners who have been thinking about relocating, the huge savings brought about by these changes should encourage more people to make the move now. 2014 has been a relatively good year for the property market, with a strong recovery in both asking prices and interest supported by various government agendas to help people get onto the housing ladder. This reform is something of an early Christmas present for property buyers, and the effects should really start to show throughout the country during 2015. If you are unsure what the reforms may mean for you then get advice from a professional but it really seems like good news. About the author: This article was written by Kelly Gilmour-Grassam, a freelance copywriter from Yorkshire. You can follow her on Twitter @KellyGGrassam. This article was written with useful information from ADM Residential.